A tradition in the Merchant Navy, a prestigious award ceremony hosted by Capt. 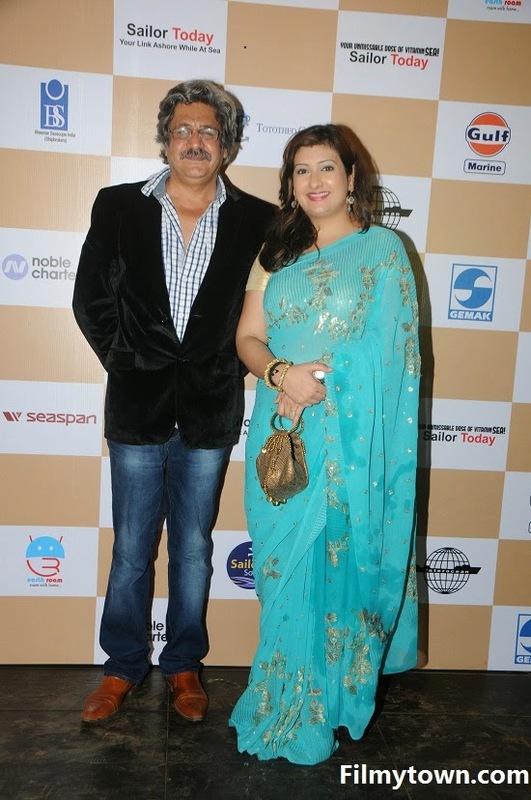 Sunil Nangia being supported by the entertainment industry having a lineup of TV stars to strut the ramp for designer Saazish Sidhu & other dance performances, the 13th Sailor Today Sea Shore Awards was a memorable evening to unwind for the Sailors. While TV star Pratyusha Banerjee dazzled the ramp as the show stopper, performances by Rahul saxena and the troupe and the hosts were Roshni chopra and Umesh Pherwani , The event saw the attendance of Kavitta Verma, Barkha Bisht , Rajesh Khattar, Vandana Sajnani, Shibani Kashyap, Pooja Gupta, Shifanjali Rao, Prashant Sharma, Vaibhav & Saurabh, Mazhar and Mauli, Karan and Nisha, AmanVerma, Munisha khutwani ,Juhi Parmar, & many others who came forward to felicitate the Sailors. Captain Sunil Nangia with utmost dedication to his work & the Merchant Navy talks about the intricacies involved in being a Merchant Seafarer, “Seafarers work in two departments; Navigation & Engineering. The education & Training for each disciple are a mixture of Academic work combined with practical training at University & at the Sea. Seafaring certification & qualifications give you a wealth of opportunity. He summarizes hoping India’s youth to take Merchant Navy as a Career, “ If you want a job which is worthwhile & something that you can be proud of while experiencing the world & life in general, then Merchant Navy is something you should give some serious consideration.